Five nights after Survivor Series, the 745th edition of WWE Friday Night SmackDown came to you from the Mohegan Sun Arena in Uncasville, CT. One week after successfully defending the WWE Tag Team Titles against The Real Americans, the Rhodes brothers would prove that they are fighting champions as Goldust & Cody Rhodes again defend their WWE Tag Team Titles, this time against the two men they took the titles from in the first place, The Shield’s Seth Rollins & Roman Reigns. Mark Henry (with Big E. Langston) def. Curtis Axel (with Ryback) by pin following the World’s Strongest Slam. 6-Man Tag: Los Matadores & El Torito def. The Plymouth Rockers by Diego pinning Drew McIntyre following the Picador. Tons of Funk def. R-Truth & Xavier Woods by Brodus Clay pinning Xavier Woods following a second-rope splash. Antonio Cesaro def. Titus O’Neil by DQ after Darren Young interferes. WWE Tag Team Championship: Goldust & Cody Rhodes (c) def. Seth Rollins & Roman Reigns by DQ after Dean Ambrose interferes. As a result, Goldust & Cody Rhodes (c) retain. 6-Man Tag: CM Punk, Goldust, & Cody Rhodes def. The Shield by DQ after The Wyatt Family interferes. 12-Man Tag: CM Punk, Rey Mysterio, The Usos, Goldust, & Cody Rhodes def. The Shield & The Wyatt Family by CM Punk pinning Erick Rowan following the GTS. 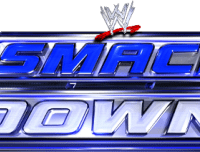 Two weeks before he faces World Heavyweight Champion John Cena in a TLC Match to unify the WWE and World Heavyweight Titles at WWE TLC, SmackDown kicks off with WWE Champion and self-proclaimed “face of the WWE” Randy Orton. In a special in-ring interview with Renee Young, Orton says that he did not get knocked out by Big Show at Survivor Series, he was “playing possum” and he did not need the help of The Authority to defeat Big Show. Renee then asks Randy Orton how he feels about the TLC Match, asking if the WWE Champion felt “betrayed” or “threatened”, but Orton refuses to comment as the WWE Champion just leaves the ring! With Intercontinental Champion Big E. Langston in his corner, “The World’s Strongest Man” was in action on SmackDown as Mark Henry would go one-on-one with Curtis Axel, with Ryback in his corner. Early on in the match, Ryback would catch Big E. Langston off-guard, blasting the Intercontinental Champion with a right hand on the outside. However, later in the match, Langston would fight back with a body splash that takes Ryback off of his feet. Meanwhile, in the ring, Mark Henry hits the World’s Strongest Slam on Curtis Axel en route to picking up the win. Backstage, an angry Brodus Clay confronts R-Truth and Xavier Woods, telling the former NXT star that he told him that he could “borrow” The Funkadactyls, not “steal” them. Brodus then gets in Xavier’s face, telling him that they don’t need “rookies” hanging around feeding off of “main event players” like himself. Brodus continues, telling Xavier to not speak unless he is spoken to, shoving Xavier into the lockers! This brings Tensai into the picture as Tensai and R-Truth work to try and calm their tag team partners down, but Brodus just storms out of the room. In an unusual 6-Man Tag match, the miniature bull mascot known as El Torito would make his in-ring debut, teaming with Los Matadores to face the Thanksgiving-inspired 3MB, dubbed The Plymouth Rockers. In the end, it was Los Matadores hitting the Picador on Drew McIntyre with Diego pinning McIntyre to pick up the win for Los Matadores & El Torito. Having apparently calmed down from his confrontation with Xavier Woods earlier in the night, Brodus Clay would join Tensai in tag team action as Tons of Funk, with The Funkadactyls in their corner, would face R-Truth & Xavier Woods on SmackDown. In the end, it was Brodus Clay hitting a big splash off of the second rope, pinning Xavier Woods to pick up the win for Tons of Funk. 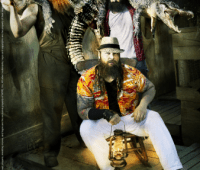 With Daniel Bryan still missing following their abduction on RAW, The Wyatt Family makes an appearance on SmackDown as Bray Wyatt, flanked by Luke Harper & Erick Rowan, says that he knows what it is like to be thrown into a “groveling pit”. Bray continues, saying that no one knows Daniel Bryan better than he does, vowing that Bryan will emerge as a “monster”. Still feeling the effects of a post-Thanksgiving eating contest from earlier in the night, Titus O’Neil, with Darren Young in his corner, would go one-on-one with Antonio Cesaro, with Jack Swagger & Zeb Colter in his corner. During the match, Antonio Cesaro would trap Titus O’Neil in the Cesaro Swing, but in order to protect the contents of his tag team partner’s stomach, Darren Young would hit the ring, attacking Cesaro. After the match, Titus O’Neil would leave the stomachs of everyone churning as Titus grabs JBL’s hat from the announce table, heaving major chunks into the Texan’s headgear. As JBL keeps his distance, Titus puts the vomit-filled hat on Michael Cole’s head! On his way to the back, Titus makes a stop to vomit in Zeb Colter’s hair. Then it was time for the main event of the evening as Goldust & Cody Rhodes would defend the WWE Tag Team Titles against the men they took the titles from, The Shield’s Seth Rollins & Roman Reigns, with United States Champion Dean Ambrose a guest on commentary. At the end of a hotly-contested title match, Cody Rhodes was poised for victory after hitting Seth Rollins with Cross Rhodes, but Dean Ambrose would rush the ring, attacking Cody and ending the match via disqualification. After the match, a revenge-fueled CM Punk would rush out with a steel chair in hand, taking Roman Reigns out with the chair, but narrowly missing out on getting his hands on Dean Ambrose. With CM Punk, Goldust, & Cody Rhodes standing tall in the ring, SmackDown General Manager Vickie Guerrero makes an impromptu 6-Man Tag Match! Per the orders of SmackDown General Manager Vickie Guerrero, “The Best in the World” CM Punk would team with WWE Tag Team Champions Goldust & Cody Rhodes to face all three members of The Shield in a 6-Man Tag Match. During the match, The Wyatt Family would make their presence known as Bray Wyatt, Luke Harper, & Erick Rowan appear on the ramp, distracting CM Punk and allowing The Shield to take advantage in the match. Later on in the match, The Wyatt Family would pull Goldust & Cody Rhodes off of the ring apron, assaulting the WWE Tag Team Champions. This would spark an all-out brawl as The Usos would rush out to lend a hand, followed by Rey Mysterio! A furious Vickie Guerrero comes out, vowing that she refuses to let SmackDown end in chaos, announcing a gigantic 12-Man Tag Match to take place right now! After a WWE Tag Team Title match evolved into a 6-Man Tag Match, which ended in a huge brawl, SmackDown General Manager Vickie Guerrero would make an impromptu 12-Man Tag Match as “The Best in the World” CM Punk would team with Rey Mysterio, The Usos, and WWE Tag Team Champions Goldust & Cody Rhodes to face The Shield & The Wyatt Family! With the help of a 619 from Rey Mysterio, CM Punk would hoist Erick Rowan up, hitting the GTS on Rowan, pinning Rowan to pick up the win for himself, Rey Mysterio, The Usos, Goldust, & Cody Rhodes.